Working eight hours for six days a week can be stressful and tiring; especially with those workers doing heavy labor under the heat of the sun. And when we’re tired and stress from work, all we want to do is have a day off from work just to let our body rest and do some recreation. In what way can we relieve the stress? A sweet escape from work. 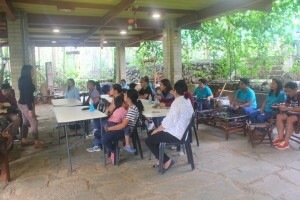 As for rest and recreation, HPCC together with its sister companies RPM Realty, Carniella General Merchandise and R3 Marketing held its joint team building activity at Mapawa Nature Park last 16th of April. The staffs and workers of the aforementioned companies took a one day off from work and spent their rest and recreation at the said nature park. The team building activity was facilitated by the Mapawa Nature Park team. There were five challenges prepared each with different objectives and goals. 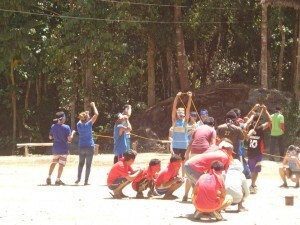 Even with different objectives and goals, in the end, the challenges taught the participants one thing – teamwork. There may have been some clash of characters and a little misunderstanding in the duration of the activities but it all ended well. The participants have indeed brought home good learning from the activity. The rest and recreation didn’t just end with the activities that were given by the facilitators of Mapawa Nature Park team. As a reward for the teams’ effort in accomplishing the challenges; the participants were given the opportunity to try out Mapawa’s amenities such as ziplining and 20ft water jump. It’s really good to see that even for just one day of sweet escape, the workers and staffs had enjoyed their time off from work. In a way, even if the team building was all challenging, it has helped them to somewhat alleviate their stress and let them thought of things other than work. The team building was indeed a great sweet escape. Thanks to Mapawa Nature Park for the warm accommodation. Kudos to the teams! HPCC, RPM Realty, Carniella General Merchandise and R3 Marketing. Until then! 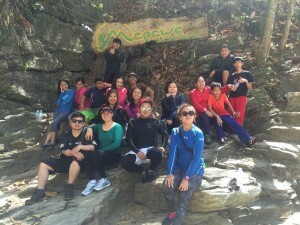 It’s a whole new adventure for Homechoice Planners and Construction Corporation as they took the time off from work and spent their holiday at Mapawa Nature Park last 25th of February. They say that you only live once and so you shouldn’t miss every opportunity that comes your way. And with this, the HPCC staffs and RPM Realty agents didn’t miss the opportunity to conquer the extreme course of river trekking and canyoneering. Along the river trek course, there were four different challenges to face; the 25ft water slide, rappelling, 20ft water jump and 65ft canyoneering. It wasn’t an easy course for the staffs and agents as some of them have fear of heights and some doesn’t know how to swim. The course that took them longer to accomplish was the 20ft water jump. It was indeed a very tough one because it has to do with the person’s decision to jump or not to jump. Others may have taken long to decide but in the end, everybody was able to take that leap of faith. The different challenges may have cause stress and anxiety due to the staffs and agents’ fears but they were able to conquer it all. They haven’t missed out the chance to face the test in conquering their fears. It has been a realization for everyone that in life, one cannot proceed to the next course if they won’t face the trials or problems that comes their way. There are only two choices, it’s either they face everything and rise or forget everything and run. And as for the HPCC staffs and RPM Realty agents, they chose to face the challenges and rise at the end of the activity. The Mapawa Nature Park adventure was indeed a YOLO moment to treasure. Extreme adventures like sliding from a 25ft waterfalls, jumping from a 20ft cliff or 65ft canyoneering are things that shouldn’t be missed. It’s not every day that you get to do all these extreme adventure stuff. Thanks to Homechoice Planners and Construction Corporation for giving their staffs the opportunity to experience those extreme adventure. Extreme fun and extreme adventure at its best; it’s definitely more fun in Mapawa Nature Park. Congratulations conquerors and overcomers! Till the next adventure! 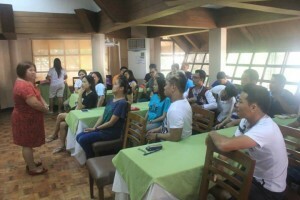 Last 24th and 25th of July, HomeChoice Planners and Construction Corporation held its overnight Team Building Activity for the leaders and staff at Chali Beach Resort. The activity was handled and facilitated by one of the renowned training and consulting group in Cagayan de Oro; the MCIC Consulting led by Ms. Maria Christina Concepcion. It was not the usual team building where it was concentrated in physical activities; yes, there were some physical activity but the activities prepared for the whole day of the 25th was more of measuring the emotional and intellectual quotients of the participants. 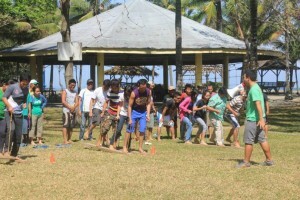 The one and a half day team building was more about developing the participants’ personalities. From dream-board presentations to problem solving a given situation; creative cooperation was really at work within the leaders and staff. Team Building is a process where people bring all their personal experience and expertise to the table. 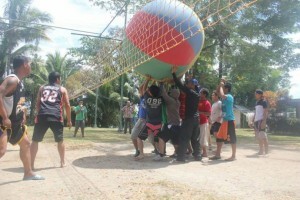 The team building activities taught its participants the value of teamwork and appreciate open-mindedness. Each participant found also an adventure in finding new solutions to old problems. Through this synergizing process, better relationship was established and personalities were greatly developed. This team building activity is part of HPCC’s continuous improvement for leaders, staff and also for the company. 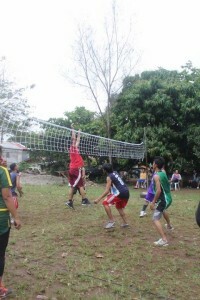 It has indeed helped the participants in molding their character. And with this, more activities and seminars are in the workers hopes. Cheers to the successful activity and warmest gratitude to MCIC for their help. Looking forward for another partnership with MCIC Consulting Group! 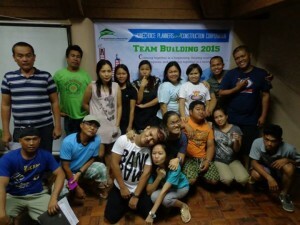 It has been an annual activity for HomeChoice Planners and Construction Corporation to have a team building activity. 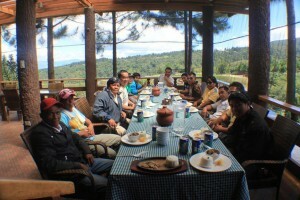 For the past years, team building for the staffs and construction workers are conducted separately. This time around, for a change, the company decided to make a joint team building activity. 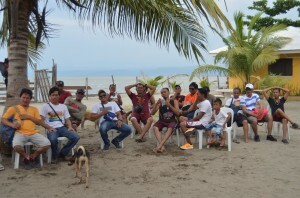 HPCC’s office staff and its construction workers had their team building activity last 19th of February at Seaside Bible Camp, Barra, Opol. For the past team building activities held, it was the office staff that will facilitate the construction workers with the challenges and tasks. 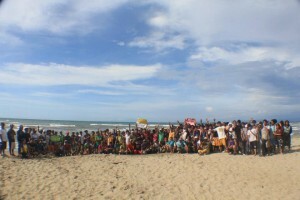 But for this year, it was the staff of Seaside Bible Camp that facilitated the games and challenges. 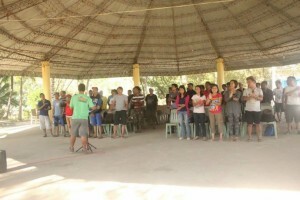 At the start of the program, the participants were introduced to their camp manager who then gave them some words of wisdom and encouragement that is according to God’s word. 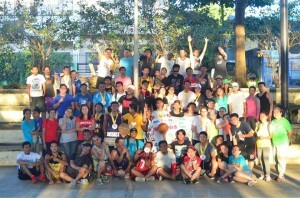 Everyone was enlightened about lessons of unity, camaraderie and team building. Lessons about leadership were also shared to the participants. And the preaching of the camp manager who’s also a pastor made the participants feel encouraged to do something better for their self. 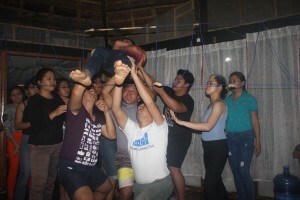 The team building challenges then started after the preaching of the word. 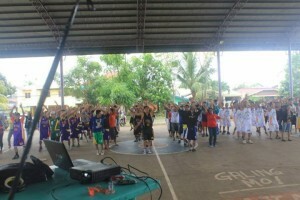 The participants were divided into four groups. Different kinds of challenges were given; each challenges tested the team’s ability in various aspects. Whatever the challenges that each team has encountered, the moral lesson of each task was about team cooperation, camaraderie and unity. Lunch fellowship was then followed after the games. 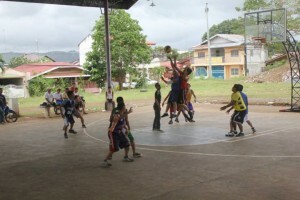 Then the participants also had the time to enjoy the venue’s amenities. Some went for a dip in the beach, some took a selfie and groupie shots and others ate snacks and had some rest. Though the activity was full of games and challenges, it somewhat served as a rest and recreation time for HPCC’s staff and workers. It was a day off from work and everyone enjoyed it. Congratulations to all participants! Looking back, HomeChoice Planners has indeed grown into a bigger company. In line with the company’s growth are the numerous houses that were built and still building. Construction workers have also increased in number; thanks to them because they are the one’s responsible for each successful project. And behind these workers are their mentors and leaders; foremen as what they are called in the construction field. The foremen’s good leadership is what makes the construction workers’ performance well. Being a foreman is not an easy job; they are the engineer’s right hand. They stay on construction sites, checking the progress of the projects and monitoring the workers under them. Work, work, work. This is what they think and do in order for them to have a better future. They work hard just to provide everything for their family. In working their butts off, they forget to give their self some me time; time to chill and relax. As part of the company’s thanksgiving; thanksgiving for all the boons and success that the Lord has given to us, HomeChoice Planners also gave the foremen and leadmen a time to have fun. 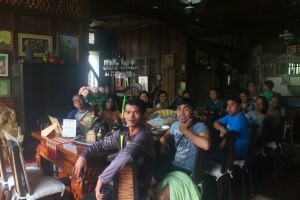 Last November 24, 2012, they had a time off from work and went to Dahilayan Adventure Park. They were given the opportunity to relax and enjoy all the amenities in the park. Some of the foremen conquered the Asia’s Longest Dual Zipline and others drove the ATV rides along bumpy roads. It was a one day spent for their self; me time as what they say. 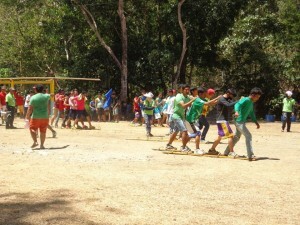 The foremen and leadmen surely enjoyed their one day escapade at Dahilayan; it was indeed a rollicking adventure. Kudos to them!